Debates on limited global oil reserves and climate change have taught us to look at energy not only from a national viewpoint, but also from a global perspective. Cooperation across borders is necessary, also in research that looks for new approaches to energy supply. The Technology Collaboration Programs of the International Energy Agency (IEA) make an important contribution to cross-border collaboration. Experts from Switzerland are working at the fore front here, as was recently demonstrated at a conference in Neuchâtel. Author: Dr. Benedikt Vogel on behalf of the Swiss Federal Office of Energy (SFOE). The International Energy Agency (IEA), based in Paris and founded in 1974 in response to the first oil crisis, comprises 30 countries, in particular from America, Asia and Europe. A central activity of the IEA is energy research whereby research in this context is always understood as the task of providing support to policy makers on energy-related issues. For this reason, 38 research programs (Technology Collaboration Programs/TCP) cover a wide range of topics under the umbrella of the IEA. Each program has several working groups (known as ‘Annex’ or ‘Task’) in which scientists work on specific topics. The work of each program is coordinated by an Executive Committee (ExCo). Together, the TCPs form an efficient, international network in the field of energy research. Switzerland is well integrated into this network and contributes with various activities to the development and exchange of new findings. Swiss delegates are represented in executive committees of 21 TCPs, all specialists from the Swiss Federal Office of Energy (SFOE). 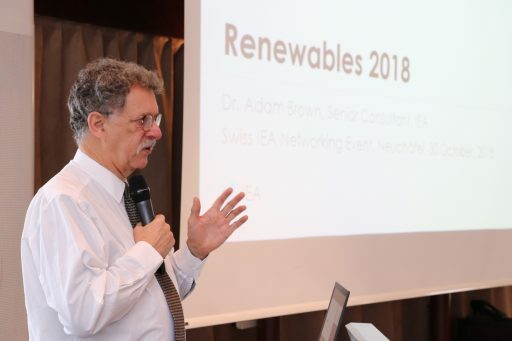 Switzerland is also well represented in about hundred working groups of the 21 TCPs, namely by experts from Swiss research institutions and energy consulting companies. Most of them are delegated by the SFOE and bring their academic expertise to bear on the scientific issues at stake. “Switzerland is heavily involved in TCPs. The exchange with international energy experts provides Swiss politicians with important input for the reorganization of the energy supply,” says Ambassador Jean-Christophe Füeg, Head of the International Affairs Section at the SFOE. Many experts from Switzerland consequently support the research activities of the IEA. A conference held at the end of October in Neuchâtel provided the experts with an opportunity to exchange current research results developed within the framework of TCPs. “The networking of Swiss players is important for the exchange of experiences and for the development of new project ideas,” says SFOE staff member Dr. Sandra Hermle, who heads the TCP ‘Bioenergy’ and ‘Advanced Motor Fuels’ for Switzerland and organized the Neuchâtel conference. Energy policy issues are often discussed and decided on a national level. But it is worth looking beyond national borders. This was demonstrated in Neuchâtel by the keynote speech of Dr. Adam Brown, Senior Consultant at the IEA. According to Brown, renewable energies grew three times faster than energy demand in 2017 – and yet global CO2 emissions rose by 1.4% (after remaining at the same level in the previous three years). Global demand for electricity grew by 3% in 2017, with China and India accounting for about 70% of the increase. At the meeting in Neuchâtel, Brown also reported an IEA prognosis on the expected development of renewable energies until year 2023. According to the forecast, China will overtake Europe as the largest consumer of renewable energies in the next five years (see Fig 2.). At the same time, the country will make a significant contribution to the expansion of renewable energies with photovoltaic and wind power plants. Renewable energies will also grow strongly in India. According to the IEA forecast, the country will expand its renewable energies by 50% by 2023. In the case of electricity from renewable sources, the IEA expects global growth from around 25 to 30% by 2023, driven to a large extent by the expansion of solar energy. The production prices for renewable energies would also continue to fall, Brown said based on the IEA forecast. “But even with continued cost reductions, policies remain critical to encourage investment in renewable energy,” Brown told addressed to policymakers. Following this political presentation, nine Swiss representatives introduced projects that were developed under the umbrella of various TCPs and thus document the international exchange in energy research. Rita Wehrle from the consulting firm Impact Energy (Zurich) spoke about international standardization in the field of electric motors. Wehrle said that there were x standards worldwide just to mount a car license plate—a simple example of the need for uniform specifications. Dr. Thuran Demiray (ETH Zurich) spoke about the flexibility of energy systems. He mentioned, for example, a process from the Swedish steel industry that uses renewable electricity from wind and solar power plants to produce hydrogen as needed, which substitutes fossil fuels (HYBRIT project). Applied consistently, the process has the potential to reduce Sweden’s total CO2 emissions by 10%. Dr. Cordin Arpagaus (Interstate University of Applied Sciences, Buchs NTB) emphasized in his presentation the benefits of cross-border cooperation. He reported on an ongoing international project about heat pumps to produce hot water. This project investigated how different heat pumps are used in different parts of the world. In Japan, for example, powerful heat pumps (‘ECO Cute’) are used to meet the high demand for hot water in the population. 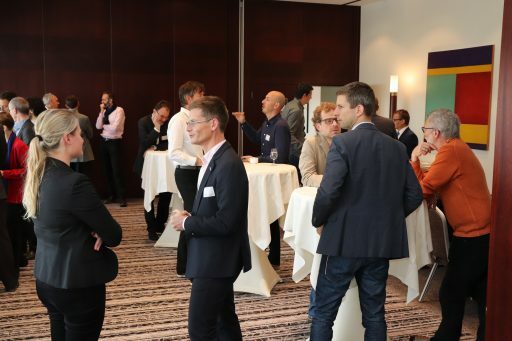 Further projects, which were presented in Neuenberg, dealt with topics ranging from efficiency, storage, combined heat and power, biomass combustion, photovoltaic and wind energy. — For information on the conference, please contact Dr. Sandra Hermle, sandra.hermle@bfe.admin.ch, Head of the SFOE Bioenergy Research Program. — Further articles on SFOE research, pilot, demonstration and flagship projects can be found at www.bfe.admin.ch/CT/printmedien.